Optima ECM Consulting will be a Silver sponsor at the SAP-Centric Financials Conference held on March 11-13 in Dallas, TX. Optima will be also co-presenting with The Toro Company on their Invoice-to-Pay Digital Transformation Case Study. 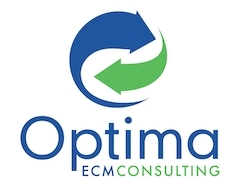 Scottsdale, AZ, March 08, 2019 --(PR.com)-- Optima ECM Consulting announced today that it will be a Silver sponsor at the SAP-Centric Financials Conference being held from March 11-13 in Dallas, TX. Optima will be co-presenting with The Toro Company along with conducting VIP meetings, solution deep dives and sharing best strategies and solutions for managing finance, accounting, and reporting. Optima is an SAP gold partner that provides strategy, licenses, implementation services and support for SAP® Solution Extensions (OpenText), and much more. Optima has a proven record of helping its customers optimize core business processes and maximize their ROI in their journey to an Intelligent Enterprise. SAP-Centric Financials is a premier conference to explore SAP’s latest financial solutions and thought leadership. Optima’s participation further reinforces its strong partnership and alignment with the current trends within the SAP financial community. “We are pleased to be a Silver sponsor once again. This event allows us to showcase our deep understanding and expertise on the challenge’s companies face achieving an Intelligent Enterprise. With the combination of our expertise and SAP’s industry-leading solutions, we feel confident our customers will gain tremendous insights from this event,” said Alex Nadesan, Founding Partner & COO of Optima ECM Consulting. SAP-Centric Financials is North America’s leading conference for today’s best strategies and technologies for managing finance, accounting, and reporting. From sourcing and selecting the right finance tools for your company to implementing and optimizing, SAP-Centric Financials features expert content from customer success stories, key influencers in business and technology, and your peers leveraging SAP Finance solutions. Optima ECM Consulting is a thought leader focused on advising and implementing EIM solutions to enable our clients to become an Intelligent Enterprise. By leveraging SAP & OpenText solutions within core business processes such as purchase-to-pay, order to cash, plant maintenance, and HR, our clients inherently address compliance and achieve significant improvements in optimization, collaboration, productivity, customer service, and operational costs.